This is a critique of the sixth story in the steampunk anthology ‘Mechanized Masterpieces’ edited by Penny Freeman. The purpose is not to show all the mistakes and short comings, or say that I am a better writer, because clearly I’m not. This is simply an exercise in critical reading with the goal of improving my own writing, and encouraging great writing from any reader that passes by. There will be lots of SPOILERS here. You have been warned. 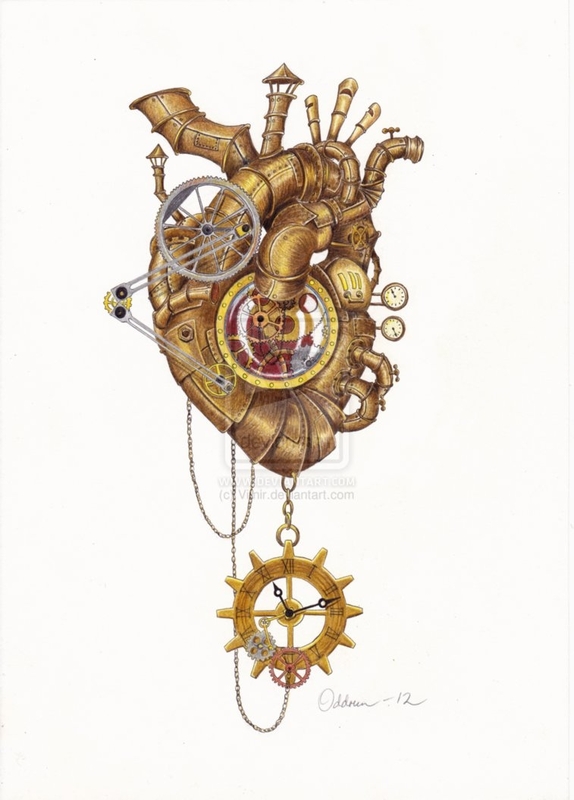 ‘His Frozen Heart’ by Aaron and Belinda Sikes is a great horror addition to the Mechanized Masterpieces anthology. Harkening back to the early days of Ebenezer Scrooge the tale fleshes out the events surrounding the death of his beloved Rose and Scrooge’s transformation from a loving young man, into the cold and hunched… err… scrooge, we find in Dickens’ classic tale. Steampunk enters in the form of the character Hargreaves the inventor, who contracts with Scrooge to restore Rose’s to life. Were it not for the moral conviction and brashness of his new business partner Marley, Scrooge would have undoubtedly lost a great deal more than his self respect and youthful persona through the cunning deceptions of Hargreaves. I enjoyed seeing Scrooge’s early days and his backstory brought to life with new and creative details. The Sikes did a very good job of developing their characters. I was particularly fond of Marley. They managed to fit a great deal of detail into a relatively short amount of space without burdening or slowing the story which takes a great deal of skill. The overall plot was solid and well built through the introduction and conflict. However, one particular plot tool used stuck out at me as not terribly original. A random fortuneteller in a bar was used by the Sikes to foreshadow coming events and instigate the introduction of Hargreaves and Scrooge. It seemed rather random to have a fortuneteller show up, and a bit too easy to have her drop the plot on the reader while bringing the required characters together. While the plot, as a whole, seemed very good, the use of tools like this to motivate events didn’t impress me. Horror isn’t really my thing, but I still enjoyed the freakish steampunk twist at the end of the Sikes’ story. It closed with a flawless lead-in to where Dickens’ story starts. I enjoyed the read by the Sikes, it was compelling in its sense of dark mystery and fit well with the classic story on which it was based. The only thing I could have suggested would be to rework some of the plot tools to make an even more creative tale of fear and horror. Splendid review 🙂 Thank you for reading! You are welcome. I enjoyed it 🙂 Thank you for stopping by!